Here is an introduction to this British shipping company and a brief mention of the establishment of a Hong Kong branch. More information about the company in Hong Kong, especially in connection with Sha Lo Wan mine, would be welcomed. 1885 Andrew Weir (1865-1955) first acquired a sailing ship in Glasgow. The name of Weir’s ships included the word “Bank” from the outset. 1896 First steam ship was bought. 1905 Andrew Weir registered Bank Line Ltd. Bank Line operated services between Europe and the South Pacific. Since this year all ships have been registered in that company or one of its subsidiaries. At the same time the first of many branches were established overseas in New York, Buenos Aires, San Francisco, and Hong Kong. 1912 Last of the sailing ships were disposed of. Bank Line lost many ships to enemy action in both WW1 and WW2. 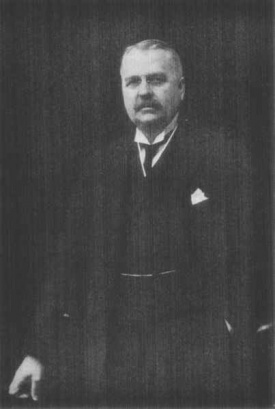 1919 Andrew Weir and Co (Bank Line) and the East Asiatic Co., Copenhagen, founded United Baltic Corporation, operating passenger and cargo services from Poland and the Baltic States to London. 1935 Robert MacAndrew was acquired by Andrew Weir and Co Ltd, as a subsidiary for their United Baltic Corporation. 2003 The Bank Line (South Pacific) service was sold to The China Navigation Co Ltd, the deepsea shipping arm of the Swire Group. 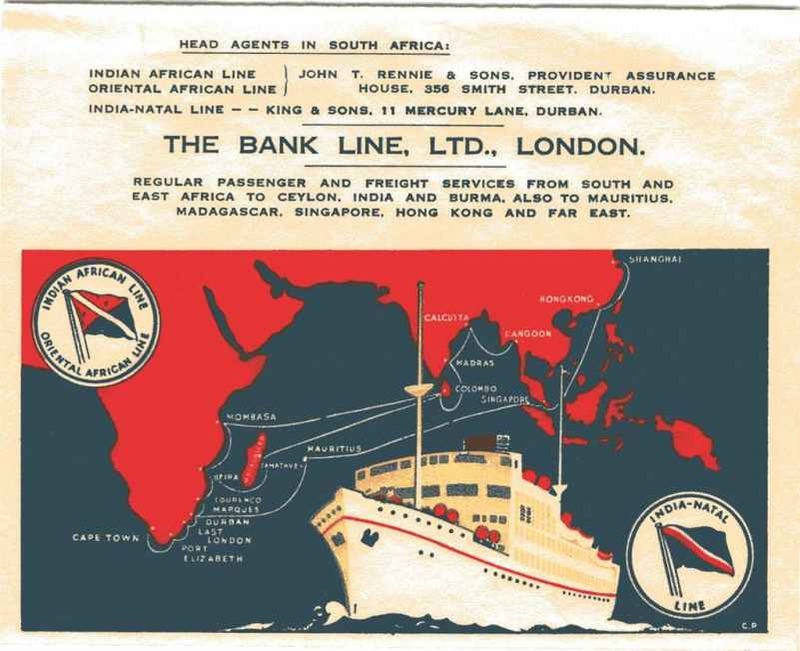 “The slight muddle in your piece on the line is that Andrew Weir & Co (later via a subsidiary Andrew Weir Shipping Ltd.) was the parent company in London that owned and operated the Bank Line (and thus The Bank Line (China) Ltd.) and Andrew Weir & Co, Far East, Ltd (post-war anyway) in HK, and not really any sort of separate reputable local HK firm. This article was first posted on 21st DEcember 2014.
i joined the m.v. Westbank at Bromborough on the Mersey as a Deck Appretice in 1955. A truly marvellous shipping company that showed me the world. I remember the above letter head, showing the inchanga and the Isipingo. Are there any similar cargo ships offering passenger places any where in the world? Good to hear from you John. You must have visited Hong Kong during your time with the company. I enquired many years ago about going on a container ship from Hong Kong to Europe. Possible but very expensive! However, when I enquired three or four years ago it didn’t seem to be possible because of concerns about lack of medical assistance on board coupled with fears of insurance claims and the general security worry of being hijacked by the passengers. Modern times.